My future goals are to create the best social and political movement that ever existed in the world. 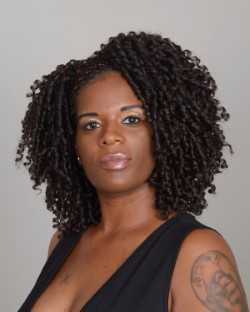 The National Association of Professional Women (NAPW) honors China Lashae Johnson as a 2017-2018 inductee into its VIP Woman of the Year Circle. She is recognized with this prestigious distinction for leadership in entrepreneurship. NAPW is the nation’s leading networking organization exclusively for professional women, boasting more than 850,000 members, a thriving eChapter and over 200 operating Local Chapters. In 2009, Ms. Johnson founded The Afro Vision of Empowerment Society, an organization committed to creating social programs the help empower the Afro community. As CEO, she is responsible for the day-to-day operations of the company, including overseeing the organizations’ local chapters. Ms. Johnson said it is challenging to find “honest, loyal, humble people” who are eager to help others but she is con dent she will always find the resources that will allow her to continue to grow her organization. “My future goals are to create the best social and political movement that ever existed in the world,” she said.